Functionality to check Traces request and download the Consolidated file, TDS certificates and Justification Report directly from TRACES. Functionality to create customize report and other MIS reports. Functionality of Import deduction entry from Excel for bulk creation of deduction entries. Functionality of direct import of challans from OLTAS, No need to add challans one by one. 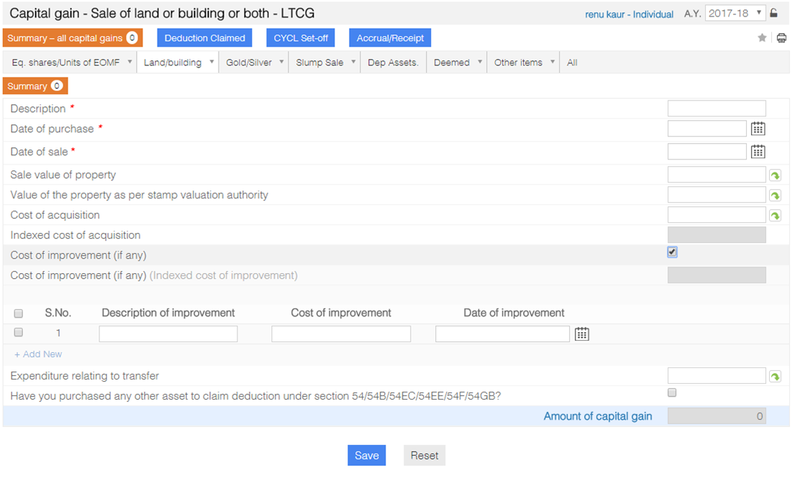 Generate the return with Default Predictor Notice to check defaults in TDS return in advance. Import from previous year- A user will be able to import all relevant last year data in current year on single click. Error-handling mechanism- The tool will validate all data entered in a return and all errors will be displayed in a pop-up list. User will be able to see errors and rectify all errors through pop-up list in one go. Import data from XML- A user will be able to import 100% data of a client in One Solution Software through XML. Bulk import functionality will also be provided to import data of clients in bulk. PAN verification for employees as well as deductees. E-payment of Challan 281 for deposit of TDS through software. Track request- Any request placed through TRACES/software can be tracked from software. Download TDS certificates- Facility to download TDS certificates like Form 16/16A/27D directly from TRACES. Option to attach DSC and print directly is also provided. Why Taxmann's One Solution ? Whether I can file all the Income-tax returns using the Taxmann’s One Solution? How many ITRs can be filed by using Taxmann’s One Solution? I bought Taxmann One Solution ITR, Do I need to buy Audit Report filing solution separately? Why should I buy Taxmann’s One Solution ITR module? Taxmann’s One Solution takes care of all your return filing needs. It is the only software which provides you with detailed calculation of every input required for preparation of Income-tax returns. Each and every item which is required to be reported in income-tax return and audit report is covered under One Solution software. The work-flow of the software is so simplified that a user can navigate from one schedule to another on a single click. Further, endless features have been provided for the benefits of the users. How is Taxmann’s One Solution software better than other e-filing Software’s? - Taxmann is serving tax professionals for their compliances since more than 50 years. Taxmann’s One Solution software is comprehensive, accurate and easiest software to use. - Users can create common master for ITR, Audit and TDS. It helps you to avoid duplicity in creating multiple client masters. - A user can keep all his client databases at one place. - One solution is a browser based software which works even if you don’t have internet connection. Hence, it works in both online and off-line modes. - The software is developed in a way that it automatically takes care of various threshold limits and provisions of law. - The software automatically computes the amount of tax, exemption, relief and interest etc. on basis of input provided by the user. - All screens are positioned coherently which makes it easy for a user to enter the relevant info in one go. - One Solution is the only software which provides detailed computation for each head of income. Further, an option is also provided to enter the input directly without going for the detailed computation. - We at taxmann provide you with the speedy and accurate update to our software on the basis of changes introduced by Income-tax Department. How Taxmann’s One solution TDS can help me? Taxmann’s One solution TDS is one stop solution for all your TDS compliances. You can generate TDS/TCS returns, deposit challans and generate TDS certificates also directly from TRACES. Detailed calculation for allowances/perquisites/retirement benefits for ease of tax deduction on salary. Auto-tax calculation for other TDS returns like 26Q/27Q/27EQ. How can I migrate my data from existing software to one solution? Data can be easily migrated from your existing software to One solution-TDS with consolidated files (.TDS files). Single as well as bulk consolidated files can be imported. What is the flow for using One solution TDS software? Can I import data through excel in One solution TDS? Yes, One solution also provides facility to import employee/deductee master and deduction entries through excel import.